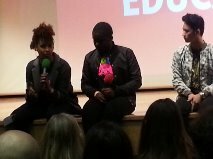 This discussion and film screening sought to shine a light on what youth mentoring is achieving in innovative projects across London. Dr Karen Edge of the Institute of Education introduced the film ‘Irons in the fire’, a short (22 minutes) documentary film focused on the lives of five young people trying to make their way into various careers such as DJ’ing to becoming a Chef at Jamie Oliver’s ‘Fifteen restaurant’. It was inspirational to see them achieve their dreams and aspirations. The visual shots and special effects were excellent and it was an added bonus to have the narration from award winning actor Idris Elba. “The film resonated with me because I recognised things that I went through. It’s important these stories get out there.” Idris Elba, Narrator and Associate Producer, Irons in the Fire. The film maker; Yoav Seagal stated that the aim of the film was to be a prompt for change. To show that “we can be the change.” The film features Spoken Word Poet ‘George The Poet’, who also spoke at the conference. The film was followed by a presentation and Q&A session with Yoav Seagal (Film maker/theatre producer), Joe Dives (Producer) and Adem Holness (Vocalist and music leader) and a group of three young volunteers from the Bigga Fish charity (one of the charities helping young people to achieve which was featured in the film). They talked about the film, problems with the education system, inequality and how badly adults engage with young people. It was great to hear the contribution from the young people and experience their willingness to engage with the audience over possible solutions. I later discovered that Ella works as a motivational speaker and this shone through in some of her statements and her confident, eloquent manner on stage. This was a good point and echoed comments made by other delegates and speakers who said the main problem with education is the culture. It never changes. Apparently children get the same old, same old. The adults need to listen to the young people about how they would like to see lessons taught, particularly as they may well have some of the answers. Nii Sackey, the Founder and CEO of Biggafish spoke of his big vision for London’s youth culture and will be continuing to work on this with his Bigga Fish team. Talking of the importance of having a good team and team work he revealed that all staff taken on by Bigga Fish have a Belbin test done on them. This is a test derived by Dr Meredith Belbin to help identify what sort of employee, team player you are and can help team leaders and recruiters identify if they have the right balance of skills and people in their teams. ‘Irons in the fire’ was released in cinemas in December 2013. It was then shown on Sky TV and is now shown three times a week on Sky 3D. It is not due for a wider release until the middle of 2016. 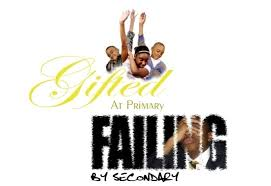 This entry was posted in Debates, Film Reviews, London Festival of Education and tagged adem holness, bigga fish, Dr Karen Edge, ella bonai gordon, idris elba, institute of education, irons in the fire, joes dives, karen edge, london festival of education, nii sackey, yoav seagal. Bookmark the permalink.